Coach Schlentz started at Colts Neck HS when the school opened in the fall of 1998 as the Head Cross Country Coach. He has coached all three seasons (Cross Country/Winter Track/Spring Track) since the inaugural year, specializing in the distance events. While coaching at CN, his distance athletes have won three relay and four individual National Championships including achieving All-American 63 times; one team and sixteen individual NJ State All-Group (Meet of Champion) Championships; 9 team, 8 relay and 28 individual Group State Championships; and they have set 13 State records as well as numerous State class records. The girls cross country team has been ranked as high as 4th in the Nation, the boys 13th. He was also named Eastbay National Coach of the Week in 2007 and has won the NJ Coach of the Year award from three different papers/organizations in four different years. In Dec of 2018, he was enshrined in the NYC Armory Coaches Hall of Fame, the meca of Indoor Track and home to the National Scholastic Champs and National Track & Field Hall of Fame. Here is the Milesplit announcement. Coach Schlentz was an All-Shore runner for Freehold HS and was on the team that won the Shore Conference Cross Country title in 1970 as the 10th ranked team going in. He ran barefoot in cross country. He competed in cross country and track in college at Springfield College, MA and continued to compete after graduation. He started his coaching career as Assistant Girls Coach at St John Vianney HS in the spring of 1977. He would move up to Head Cross Country Coach of both boys and girls that fall and would coach the distance runners through 1982. He had three state team champions and his cross country teams finished as high as 2nd (boys) and 3rd (girls) in the Meet of Champions. He moved on to LaSalle University in 1983 and was the assistant coach for cross country and track, specializing in the distance events. In his two years of coaching at LaSalle, he coached the track teams' first female NCAA Division I qualifier and her and a male steeplechaser he coached, still hold the school records there. He coached elite athletes as head coach of the Reebok Mid Atlantic distance team from 1985-87, where two of his athletes (a male and a female) qualified for the Olympic Trials in the marathon. They also set a team record at the prestigious Philadelphia 1/2 marathon as the five male runners averaged 1:05:40 per runner for the 13.1 miles (5:01 pace). 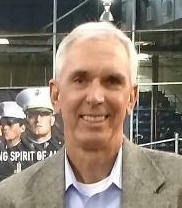 He moved back to college coaching as Head Coach of the womens cross country and track teams at Wagner College in 1988. They won two conference cross country titles and had the school's first female NCAA Division I qualifier. She still holds the school records for the 1500, 3000 and 5000, indoors and outdoors. He also started coaching elite athletes on the side including Kate Fonshell. In 1995, he left Wagner College to focus on Kate Fonshell's Olympic dream. In their 3rd year together, Fonshell won the US Olympic Trials 10,000 meter run to make the 1996 Atlanta Olympics team. He continued to coach her as well as the Asics Club East distance team who finished 4th and then 3rd as a team in the 1997 and 1998 US National Cross Country Team Championships. Two individuals from that team as well as another runner Coach Schlentz was coaching at the time qualified for the US Olympic Trials. His wife, who he also coached, set 3 National Masters (age 40 and over) records as well as qualifying for the US Olympic Trials in the marathon at the age of 41. In 1998, he started from scratch at a new school opening with just freshman and sophomores. Colts Neck HS has done quite well! Coach Lykes started coaching at Colts Neck HS in spring track in 2004 as Girls Head Track Coach specializing in the throws and the pole vault. He has shown his great knowledge in all the field events and hurdles as he has moved around from event to event as the need has arisen at Colts Neck. As Head Coach, his teams have won two Monmouth County championionships as well as numerous Shore Conference division championionships. The athletes in the events he coached have won two State Group Relay Championships (high jump, pole vault), two individual Group State Championships, four Central Jersey championships (55 hurdles, high jump), four County 4 x 55 hurdle relay titles, several Shore Conference/Monmouth County champions in the high jump, pole vault and hurdles as well as numerous place winners at the State, Central Jersey, Shore Conference and County Championships. Before Colts Neck, Coach Lykes was Head Coach at Freehold Boro HS. While there, he coached the All-Group pole vault champion (Jonas Tepeske 15' 06"), three time State Group shot put champion and 2 x All-American (Dave O'Rourke 60'+) and National Champion/3 x All-American in the high jump (Debbie Vento 5' 10.5"). Those may have been the big names but it doesn't include many other sectional, Shore Conference and County champions during that time. Before Freehold Boro, he was at Toms River North where Coach Lykes coached the throws. He coached the All-Groups shot put champion (George Scribillito) and two other top 8 finishers in the National Champonships. That followed his move from Howell HS where he was an assistant and then the Head Coach focusing on the field events. While there, he coached Paul Zayne, the State Group Javelin champion. Coach Lykes competed in football and track at Freehold High School. He moved on to Trenton State College (now TCNJ) where he competed in football and track. After graduation, he started coaching at Freehold HS as the volunteer throws coach in 1971. Coach Lykes has also been named Shore Conference Coach of the Year three times as well as Monmouth County Coach of the Year. He has had a long successful career as one of the best field coaches in the state. There is still more to come! Coach Hein began his coaching career at Colts Neck High School in the Spring of 2003, and in 2004 he took over as the sprints coach. In 2009, he started coaching with the Indoor team as well. During his tenure, his male and female athletes have met with much success. More importantly, they have helped to round out a team generally known for its distance prowess. Since 2003, the boys team has won 5 Divisional Titles, and the girls team has won 8, and from 2004-2009 they won a remarkable 35 straight dual meets in a row! Over the past 11 seasons, his athletes have won 3 State Sectional Championships, 4 County Championships, and many other County, Conference, Sectional and Group place finishes. In his time at Colts Neck, in addition to setting school records in every boys and girls individual and relay event, his runners have also broken 6 long-standing Freehold District Records (Girls: 4 x 100, 4 x 200, 4 x 400, Sprint Medley, indoor 4 x 200, and indoor 200). In 2006, the girls 4 x 400 became the first team in Freehold District history to break 4:00 and in 2012, the girls 4 x 100 became the first team in Freehold District history to break 50 seconds. In 2013, Coach Hein took over as the Head Boys Spring Track Coach. That year, the team won its first State Sectional Title and he was named Monmouth County Coach of the Year by the New Jersey Star Ledger. Coach Hein ran track at Howell HS before moving on to TCNJ. Coach Bruck started coaching track & field at Colts Neck High School in 2006. He has been the spring track throws coach for boys and girls since that time. He has coached multiple Monmouth County Champions in javelin and discus and 1 Shore Conference champion (javelin). He has coached 5 throwers who have gone on to compete at the Division I level. Before coming to Colts Neck, Coach Bruck worked with the throwers at Wagner College (Division 1) and previous to that at Worcester Polytechnic Institute (Division 3). At WPI, his female javelin thrower qualified for the nationals and still holds the school record. Coach Bruck competed in football and track at Heidelberg College in Ohio where he was elected into the Sport Hall of Fame for Track in 2010. He graduated from Elyria Catholic HS where he was a member of the football, basketball and track & field teams.